Following Saturday afternoon's Sky Bet League One clash between Walsall and Rotherham United, which saw the Saddlers end 2017 with a disappointing defeat, Gabriel Sutton of The Football Lab joins us to take a look back at the game. Following Saturday afternoon's high-scoring League One clash between Walsall and Bradford City, which saw the Saddlers bounce back from three down to secure a point late in the second-half, Gabriel Sutton of 'The Football Lab' joins us to take a look back at the match. The Football Lab | Is Jon Whitney Due More Respect? Following Tuesday evening's Sky Bet League One clash between Walsall and relegation threatened Port Vale, which saw the Saddlers suffer their fifth defeat in five league games, Gabriel Sutton of 'The Football Lab' joins us to take a look back at the match, and is keen to offer his support for manager Jon Whitney. Following Saturday afternoon's Sky Bet League One clash between Walsall and Bristol Rovers, which saw the Saddlers run out winners by three-goals-to-one, Gabriel Sutton of 'The Football Lab' joins us to take a look back at the match. As Walsall and Port Vale prepare to do battle on Boxing Day, Gabriel Sutton of 'The Football Lab' joins us to preview the match, where he looks back to last season's final day clash at Vale Park and discusses the importance of having a good goalkeeper between the sticks. Following Saturday afternoon's Sky Bet League One clash between Walsall and M6 rivals Coventry City, Gabriel Sutton of 'The Football Lab' joins us and shares his views as the Saddlers earned a point thanks to Erhun Oztumer's second half equaliser. Following Saturday afternoon's Sky Bet League One clash between Walsall and near-rivals Shrewsbury Town, Gabriel Sutton of 'The Football Lab' joins us and shares his views as the Saddlers snatched a late victory in front of their home faithful. 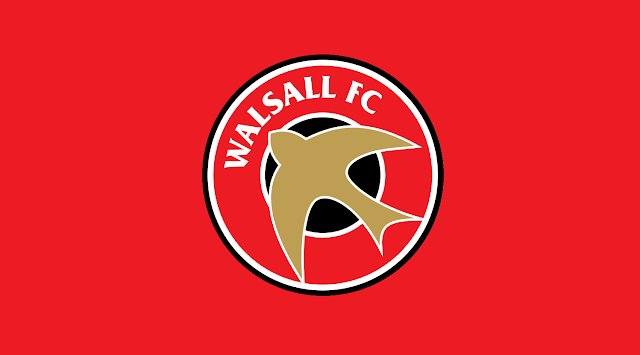 Following Saturday afternoon's Sky Bet League One clash between Walsall and Charlton Athletic, Gabriel Sutton of 'The Football Lab' joins us and shares his views as the Saddlers suffered their second defeat in succession. Following Saturday afternoon's Sky Bet League 1 clash between Walsall and visitors Southend United, Gabriel Sutton of the Football Lab joins us to take a closer look at the match. Following Sunday afternoon's departure of Walsall Head Coach Sean O'Driscoll, Gabriel Sutton of the Football Lab joins us to take a look at fan's favourite Jon Whitney, and discusses his suitability for the vacant managerial position. On Saturday afternoon, Walsall Football Club played host to Burton Albion in a top-of-the-table, Sky Bet League 1 clash. Gabriel Sutton, of 'The Football Lab', was in attendance, and shares his in-depth match review. With the 2015/16 Sky Bet League 1 season due to kick off this weekend, Gabriel Sutton and 'The Football Lab' have asked a supporter from each league club to answer some questions about their favoured side. Saddlers fan, and Bescot Banter columnist, Pete Sadler was the man called up to take part, and courtesy of 'The Football Lab', you can read his answers inside! 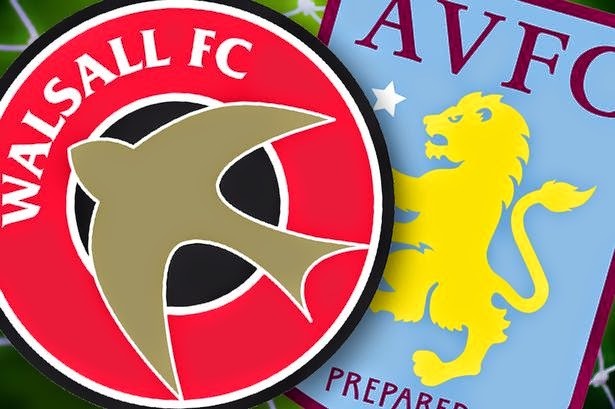 On Saturday afternoon Walsall Football Club played host to Aston Villa in the latest friendly ahead of the 2015/16 Football League campaign. Gabriel Sutton of 'The Football Lab' was in attendance and shares his views below.